Spoiler alert: Tuesday's oath-taking does nothing formal to make DeSantis the governor; it's only ceremonial. 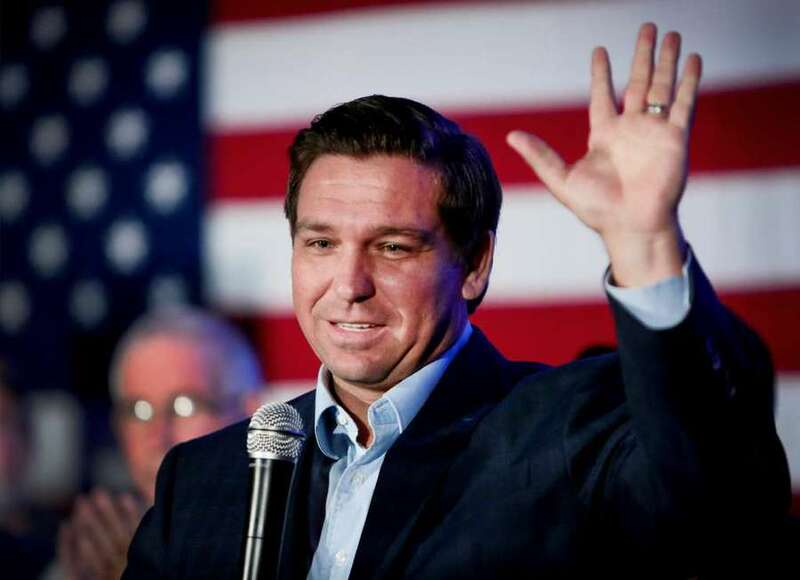 Following tradition, sometime around noon Tuesday, Ronald Dion DeSantis will place his left hand on the Bible and raise his right hand and repeat the 63-word oath of office as Florida's 46th governor. The oath-taking will be followed by a booming, smoky 19-gun salute by Florida National Guard members. Then a four-plane formation will streak across the sky above the inauguration ceremony, affirming the orderly passage of power from the old governor to the new chief executive of the nation's third-largest state. But it turns out, the public oath-taking is only ceremonial. The real passage of power will occur at a much quieter time. When midnight Monday turns into Tuesday, DeSantis, a 40-year-old Republican, will be fully vested as Florida's new governor. If a crisis arises in the early morning hours of Tuesday, requiring action by Florida's governor, it will be up to DeSantis to deal with the issue. Gov. Rick Scott's two-term tenure will end officially at midnight Monday before he moves to the U.S. Senate later in the week. The reason for the middle-of-night transfer of power is that DeSantis filed his official oath of office well before Inauguration Day. It was received by the Secretary of State's Office at 2:10 p.m. on Dec. 13 and will take effect after midnight Monday, state records show. Lt. Gov.-elect Jeanette Nuñez also filed her official oath on Dec. 13, meaning she will become Florida's new lieutenant governor and the state's highest-ranking Hispanic woman as Monday turns into Tuesday. Agriculture Commissioner-elect Nikki Fried filed her oath of office on Dec. 27, according to state records. 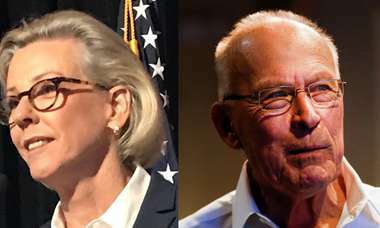 She will officially succeed Agriculture Commissioner Adam Putnam after midnight Monday, becoming Florida's only Democrat holding a statewide office. The practice of pre-filing the oaths of office has become commonplace among new governors and state Cabinet members. It was an issue highlighted in the recent litigation over the appointment of three new members of the Florida Supreme Court who will replace three justices facing mandatory retirement on Tuesday. "At least the last three governors took their initial oath of office and filed it with the secretary of state in either November or December, ensuring that they would assume authority — thus ending their predecessor's de jure authority under (the state Constitution's) article II, section 5(b) — at the earliest possible moment," according to a petition from the Florida League of Women Voters and Common Cause, which had sought to limit Scott's role in appointing successors to the departing justices. The Supreme Court ruled that DeSantis, as the new governor, has the "sole authority" to appoint the new justices, contingent on him pre-filing his oath of office and assuming the governorship after midnight Monday. The ruling was based on a 1955 court decision after outgoing Gov. 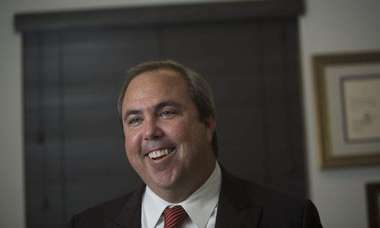 Charley Johns appointed Thomas Tappy as a Volusia County judge. Tappy was appointed by Johns to a judgeship that became vacant on Gov. LeRoy Collins' Inauguration Day. After his inauguration, Collins tried to appoint another judge to the county court. But the Supreme Court ruled in favor of Tappy and Johns, noting Collins did not take the oath of office until noon on Inauguration Day, meaning Johns retained his authority as governor until that time. "Until this oath was taken Gov. Collins was not 'duly qualified' as governor, for the reason that without the oath he had no power or authority to discharge the official duties of the office of governor," the court said.